For over a decade our good friend and Master Karate Instructor, K.C., has been using this phrase as a source of encouragement and strength for all those on their journey to black belt. Having been in the martial arts for 36 years, I can tell you that journey is both long and hard, regardless of your age and ability. The obstacles and challenges on the road to black belt can be a source of disappointment and discouragement, which causes some to give up. The “Team up . . . Never give up” philosophy asserts that if you team up with others who are on the same journey, you are more likely to reach your intended destination. 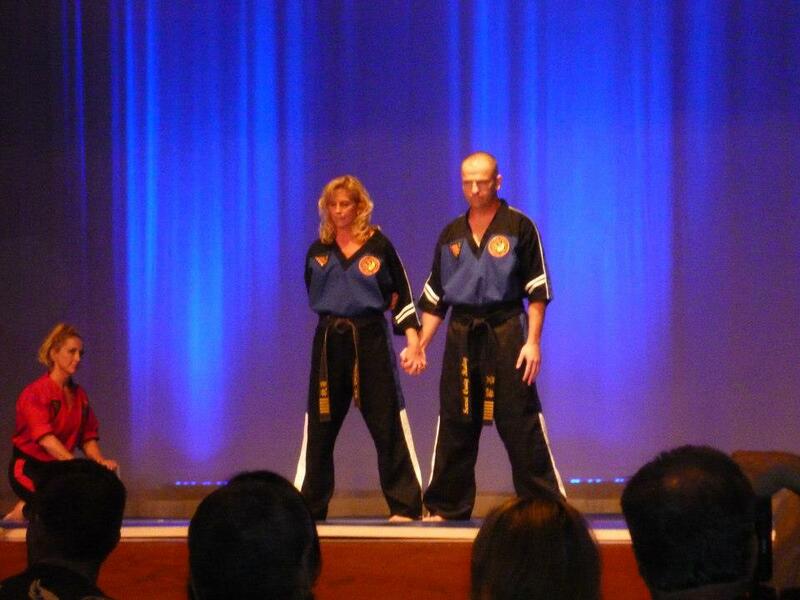 It worked for me and our two oldest children, Brock and Jenna, and it is currently working for 9-year-old Katie and 8-year-old Zack, who are on their way to earning their black belts. What is true in the world of martial arts is also true in every area of life, including your faith. It was certainly true for three young Jewish men who were in captivity in Babylon during the reign of King Nebuchadnezzar. God had given the pagan king victory over His chosen people Israel as judgment for their continued idolatry and disobedience. God never abandoned His people though; during their captivity in a foreign land, God protected and provided for His people. One of the ways He did this was to strengthen their unity through community. In other words, they were to “Team up and never give up,” regardless of the cost or circumstance. Nebuchadnezzar, no doubt thinking himself a very spiritual man, issued a decree that everyone was to bow down and worship a 90-foot tall gold statue. Shadrach, Meshach, and Abednego refused. They decided to team up and never give up as it related to the most important area in both life and death: their relationship with the one true and living God. Let’s peer behind the curtain of their commitment. So . . . where in your life right now do you need to team up and never give up? Maybe you need to team up with your spouse to overcome difficulties in your marriage or challenges raising your children. Perhaps you need to team up at the office with some coworkers to meet the deadline of a current project. Maybe you need to team up with some friends at school who can be study partners on your way to academic excellence. Possibly you need to team up with others in your church to accomplish a ministry project. I could go on, but I think you get the point. When God saved you from our sin as an individual, He saved you to community, which presupposes the need to always and in every way, “Team up and never give up,” regardless of the cost or circumstance. Along the way you will reach many more of your goals and God will get all the glory!